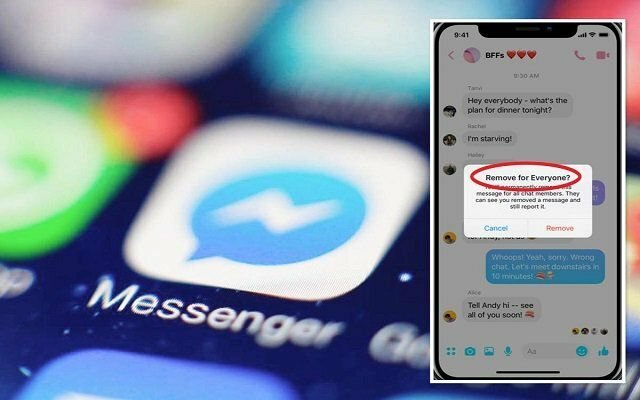 After long rumors and few confirmations, users can now finally unsend messages on Facebook Messenger after they are posted. Previously WhatsApp, a Facebook product, introduced message deletion capabilities and then it further went to extend the initial time allowed for deletion afterwards. Following it, Facebook Messenger is now receiving similar functionality. So now users have the choice of deleting their messages from the receiver’s chat as well — previously, users were only allowed to delete messages from their own end. For complete steps, use our simple tutorial below. This new Feature was pushed just days back to everyone on Messenger for Android. Initially, this unsend option was long in rumors. There were even reports that, as a test, higher Facebook officials got this functionality early on. And more recently, a public wide trial in countries that include: Bolivia, Colombia, Lithuania, and Poland was also conducted. However, in other parts of the world, it has finally been released and now everyone can utilize it. Read right ahead to delete messages on Facebook Messenger. You can delete any message by tapping on the specific message within 10 minutes of sending it. Upon clicking on the message, two options will appear: Remove for Everyone and Remove for You. By selecting remove for everyone. Before you begin, make sure you have the latest Messenger App installed from Play Store. Step 1 – Open the Facebook Messenger app on your phone. Step 2 – Open a conversation with messages you’d like to delete. Step 3 – Press and hold on a message. Step 4 – Select “Delete” on the bottom of the screen. 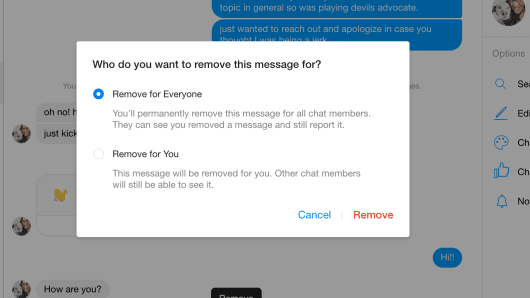 Step 5 – Select “Remove for everyone” — that makes sure that the messages disappear from the inboxes of the people you sent them to, not just from your own. It’s supposed to take about 10 minutes. This is a great feature to have in various scenarios. Found yourself stuck following the steps? Reach us through the comments.